Hey everyone! So, I'm not sure if I mentioned it on my blog, although I've certainly mentioned it on Instagram, but me and my flatmate have started a nail art society at our university, and I'm so excited about it! 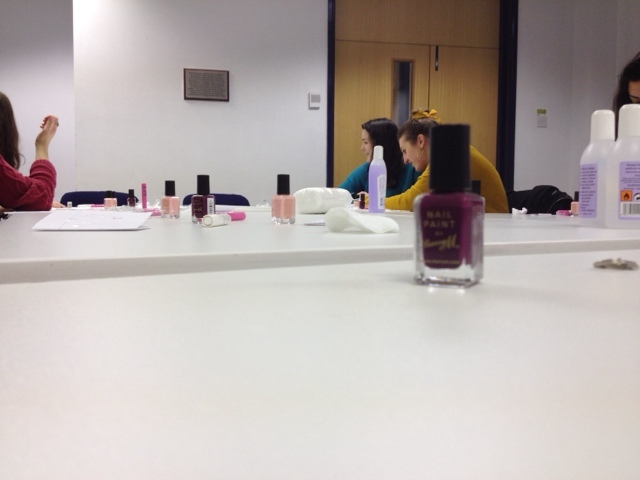 I wanted to just show you a few quick photos from our first session, and the nails I taught everyone how to do. 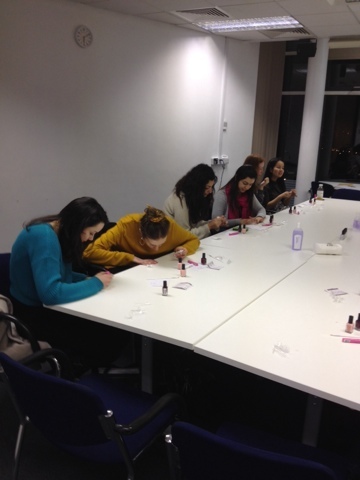 We were very lucky to have been sponsored by Barry M, and we all had a brilliant time using their polishes and nail art pens for the tutorial, as you will see in the photos below! If you attend Sheffield Uni (or if you're just interested) you can join our Facebook page here for more updates. More pictures and information after the jump! Here are the nails we created in the group. 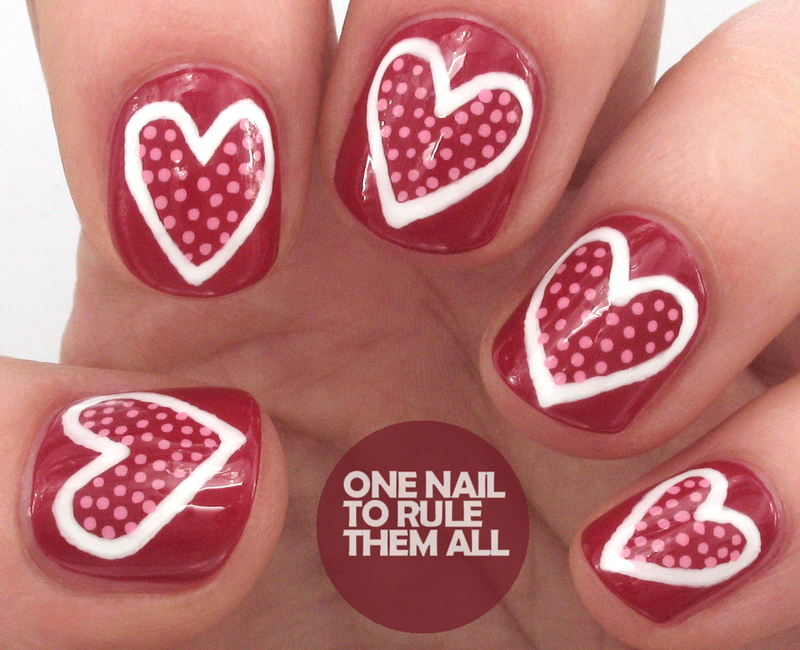 I actually recreated these when I got home using a base of Mavala - Montevideo, instead of Barry M - Berry Cosmo as we used in the session, because that was what I had to hand, but I still used the Barry M White and Pink nail art pens for the hearts. As we're just getting started we're a still finding our feet a bit, we have another tutorial tomorrow where we will be doing these daisy nails, and I'm super excited to see how it turns out! 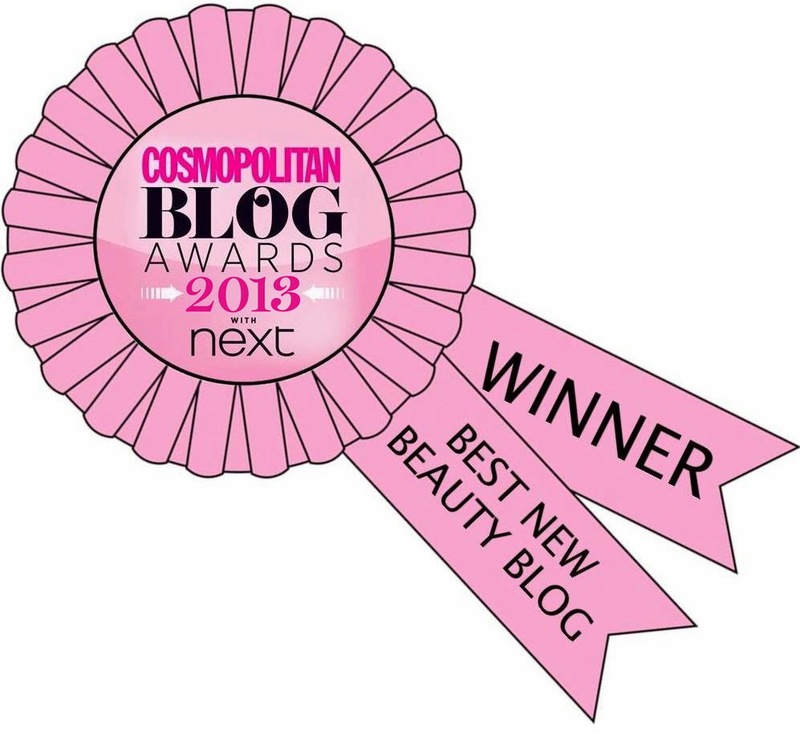 I'd also like to thank Barry M for helping us so very much with their sponsorship! What do you think? Do you wish your uni had something like this or does it seem like a silly idea? Let me know in the comments! This is such a cool idea! 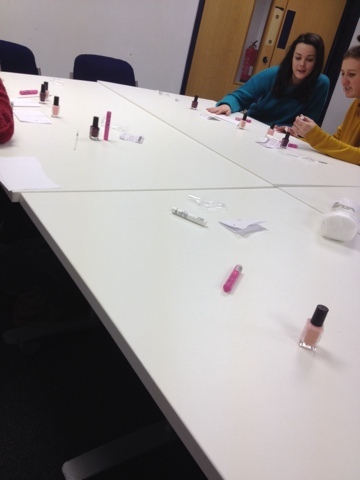 I would absolutely love it if my college had a nail art club!! =) Great job starting one! If you wanna chat, I used to be President of one of the Uni Socs so might be able to help (might not though, haha!). Also, I'm sure you're fine but if you need another pair of hands to help out I'd totally volunteer! Email me (onenailtorulethemall@gmail.com) and I'll talk to you about it there! If I go there and this is still going... I am totally joining! I would love to meet you! That would be great! We meet on wednesdays, if you sign up for £5 you can just have use of the tools in the class, and £10 you get dotting tools, 15 brushes, acetone and studs. join us on facebook and see, it would be great to have you! I've been talking to my mom about starting something like this up when I go to college in a few months. I was wondering if you might have some tips for how to get it going? I still have quite a bit of time before I go to college but I would really appreciate it! I like this post very much.I just art yhr nail in this way.